Bus transfers: At any moment you can rent a bus to carry out a transfer between Thuringia and any destination in Germany and Europe. Whether you choose to go to Erfurt or Jena, or you need a shuttle or a minibus from the Erfurt or Leipzig-Altenburg airports to any other city, a simple drive by bus to the winter sports resort in Oberon or a transfer from Thuringia to Berlin, Munich or Hamburg, Germany Bus' drivers will accompany you safely to your wished destinations. Sightseeing tours: In addition, Germany Bus makes available its buses and drivers for tourist tours in Thuringia. If need be to drive around Erfurt or Jena, to visit Weimar, Gotha, or the region of Altenburg, you will always find a way to get to the hangouts and see the wonders of Thuringia. Besides, our team will be happy to seek a competent guide for your sightseeing tours as well as to order meals or make a reservation for a great lunch in the most typical restaurants in Thuringia. Excursions by bus: Are you also interested in discovering Thuringia and its surroundings more in depth? Germany Bus and its partners offer different means of transportation such as minibuses and buses with drivers for your excursions from Thuringia to Wurzburg, Fulda, Cassel, Leipzig, Dresden, Halle and Magdeburg. Moreover, our team will help you out in the organization of your itinerary in Thuringia and its surroundings or hire competent guides or tourist professionals. You will also benefit from special rates as regards to the ordering of meals or the booking of local restaurants in Germany and in the region for your group. Travels by bus: Germany Bus also rents buses with driver departing from Thuringia to Germany and other locations all over Europe. As an example, you can rent a tourist bus in order to drive to Czech Republic, Poland, Austria, Italy, Switzerland, France or Holland. City Tours operator is active all over Europe; therefore, they will clearly inform you on all the things you need to know about the booking of a bus and the setting up of a tourist travel. City Tours can also, according to your preferences, reserve a restaurant, book a hotel or tickets for different events or tourist attractions, or assure any other tourist facilities you might necessitate for a bus trip in Germany and Europe. Thuringia coaches: with this company, you can rent coaches in entire Thuringia, for example in Erfurt, Jena, Gera, Weimar or Nordhausen. Erfurt Autobus: charter a bus with driver for a transfer in Erfurt, a sightseeing excursion in Thuringia, a national bus travel across Germany or an international long-distance journey in Europe. Jena bus booking: if you are looking to hire a bus in Jena, this website will help you with your booking of chauffeur-driven buses, minibuses and cars in Jena and entire Thuringia. Rent a bus in Gera: find the best suitable bus company for your coach reservation in Gera. Rent a bus for a tour through Thuringia, to other regions of Germany, to Poland, to Czech Republic or to destinations in other parts of Europe. 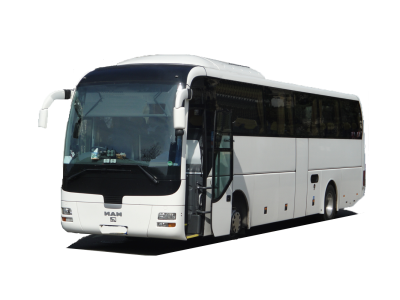 Bus reservation in Eisenach: coach network offering bus reservation for transfers and travel within Eisenach, in other cities of Thuringia and in entire Germany. Also providing long-distance coaches with driver for bus travel itineraries in Europe. Weimar tour coaches: rent a tour coach with a nice driver from Weimar for your discovery of Thuringia and entire Germany. Book buses with comfortable equipment for long-distance travelling in Europe.
. The process is simple, as we will draw up an estimate of your excursion, transfer, or sightseeing tour by bus or minibus in Thuringia or its surroundings in the shortest time possible. Rest assured that we will make every effort to satisfy your desires for an unforgettable journey in Thuringia!